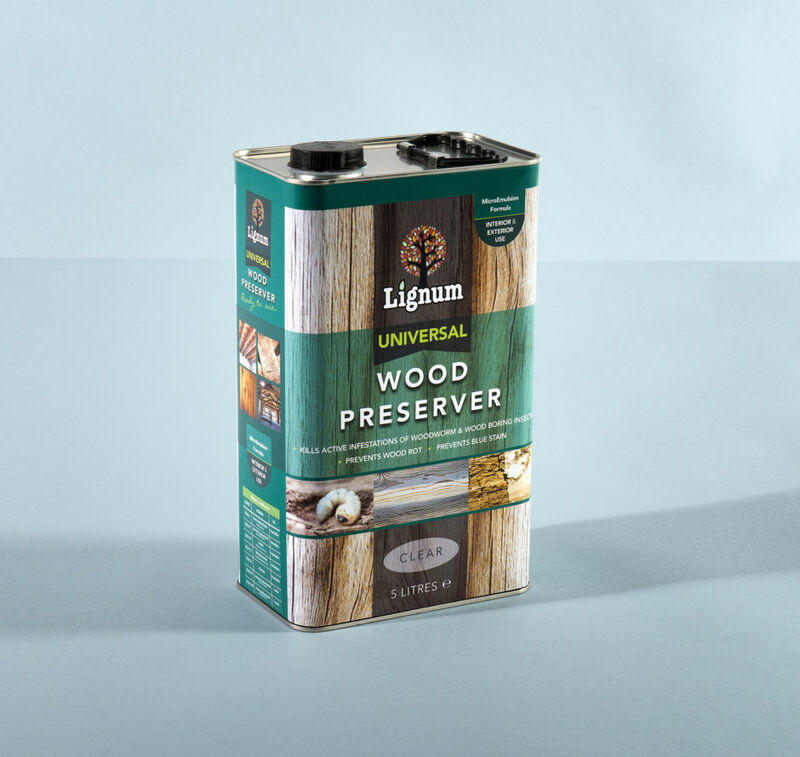 Lignum Woodworm Killer penetrates deep into timber in order to eliminate active infestation of wood boring insect at all life-cycle stages including woodworm. It will also offer long-lasting protection against re-infestation. 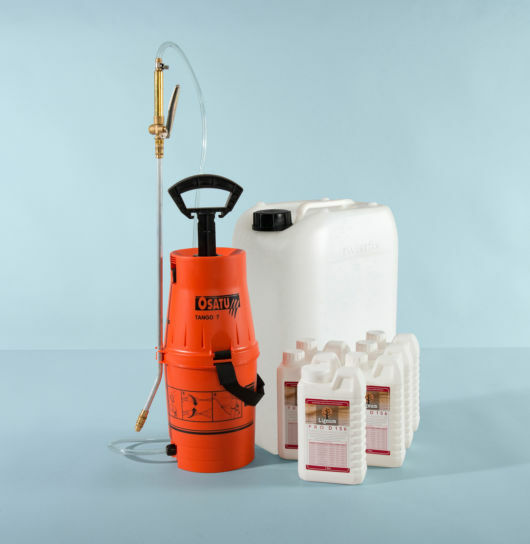 The ready-to-use insecticide is ideal for DIY or professional use. It can be used as a curative or a preventative measure to treat internal woodwork including unpainted doors, frames, roof timbers, floorboards, joists, rafters. wooden panels and furniture. Use 1L treat a surface area of 5.0m2 (200ml/m2). One 5L tin will protect 25m2 of non-infested timber. 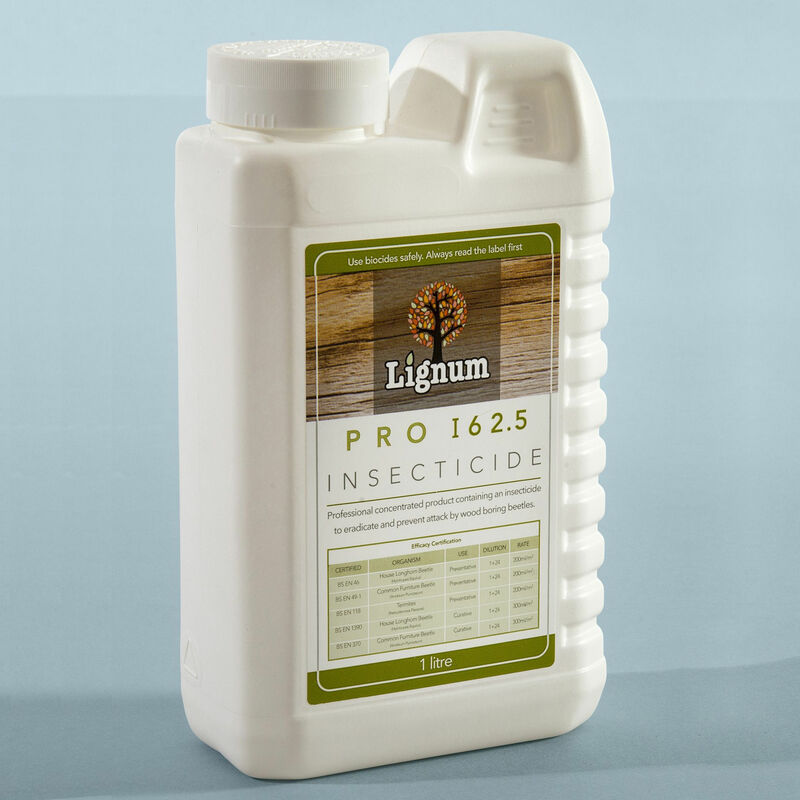 Finish: Lignum Woodworm Killer is a clear liquid that does not leave a finish; however we advise to test on a small inconspicuous area before spraying to ensure product finish is as expected.